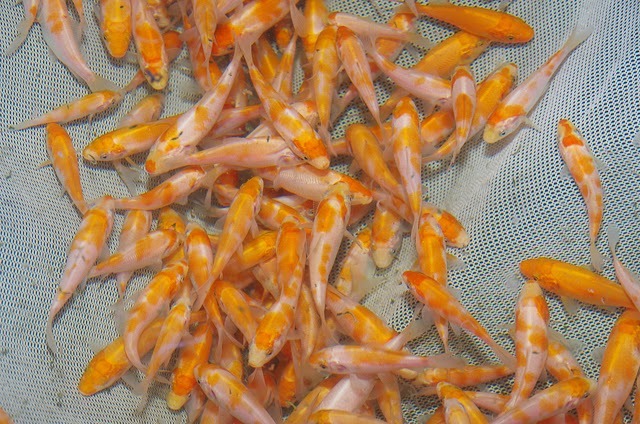 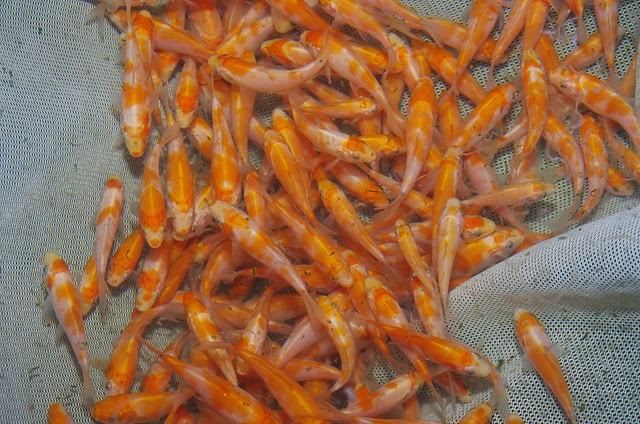 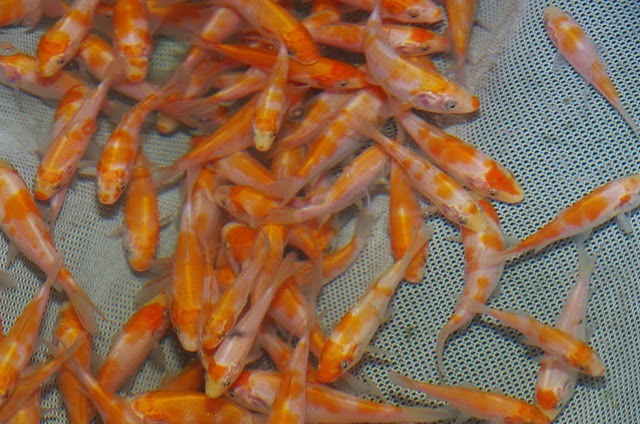 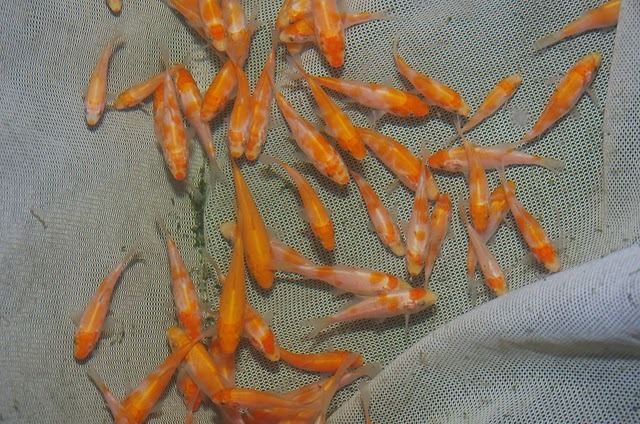 Home / Kohaku / Koi Selection / a few pics of the keepers from late summer kohaku spawning selection this weekend. 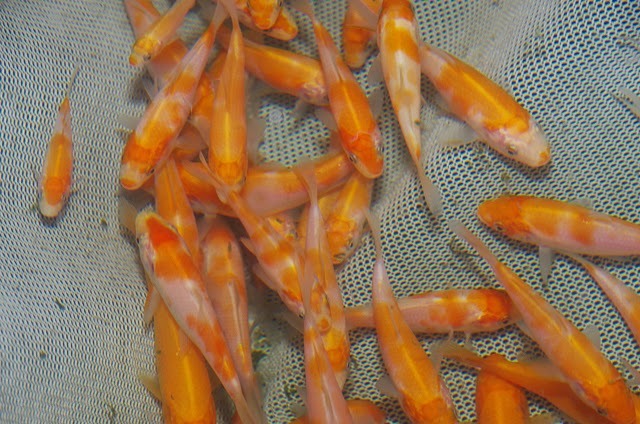 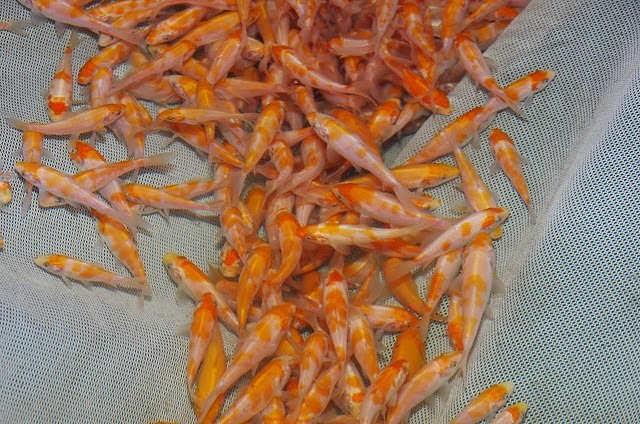 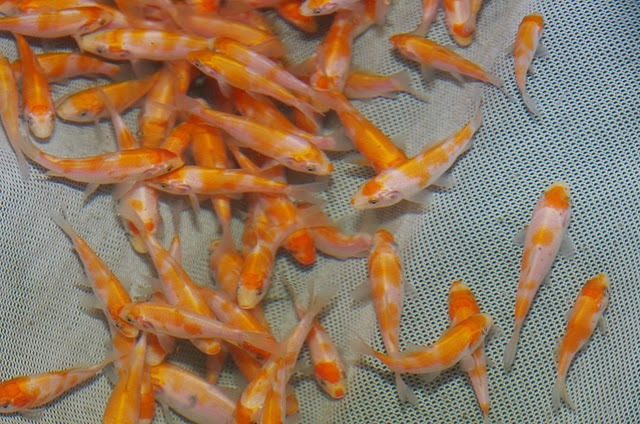 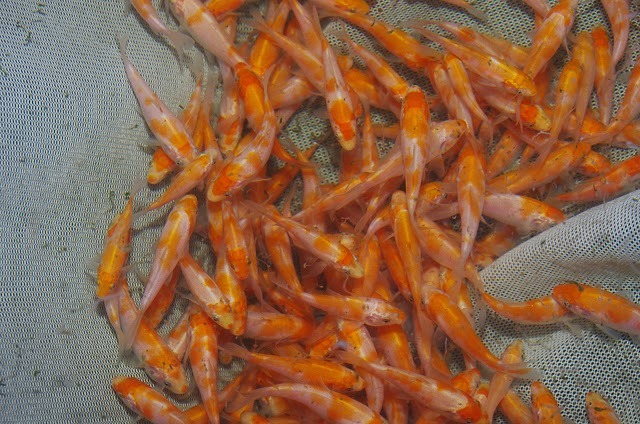 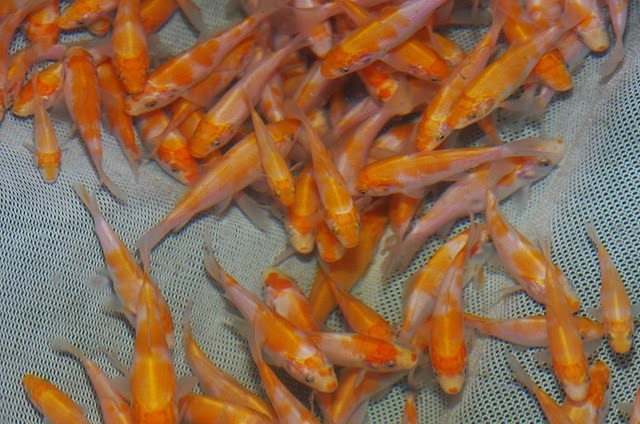 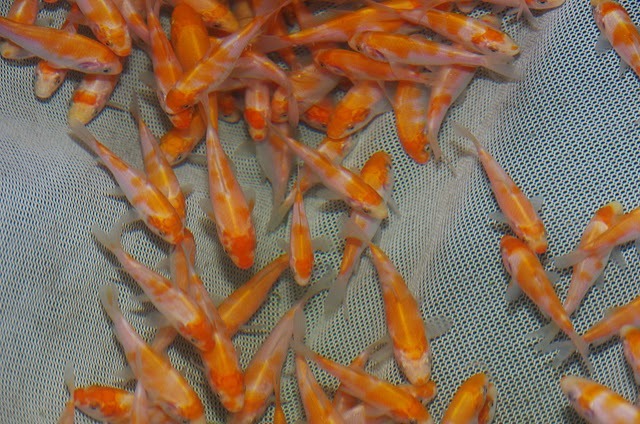 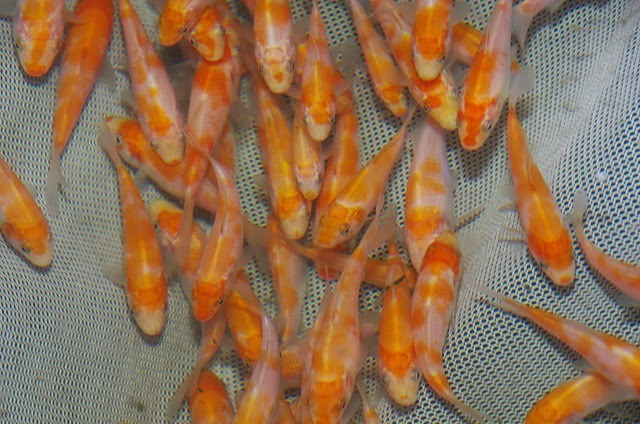 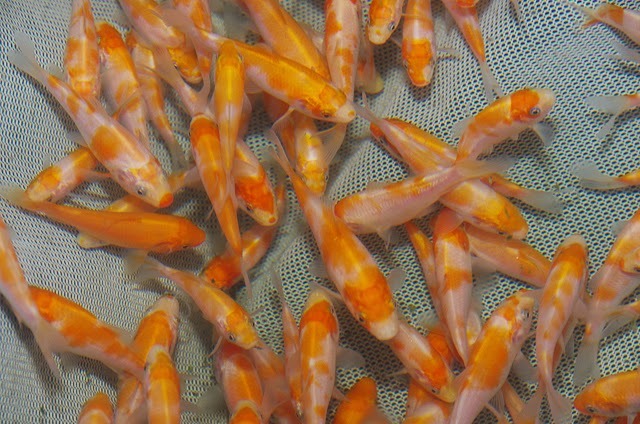 a few pics of the keepers from late summer kohaku spawning selection this weekend. 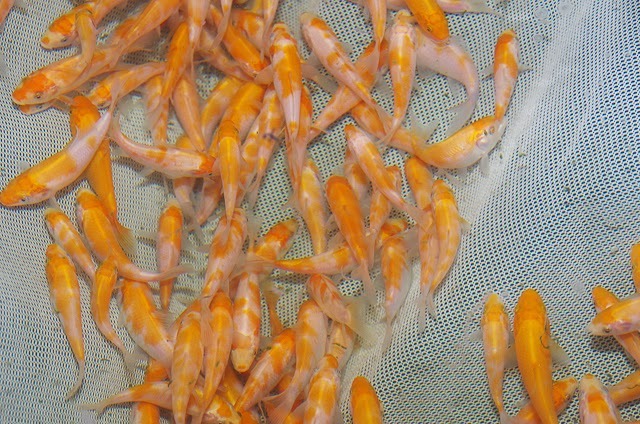 Short on time after the selections, I took a few photos of the keepers in their cage net just before releasing them back into their grow on tank. 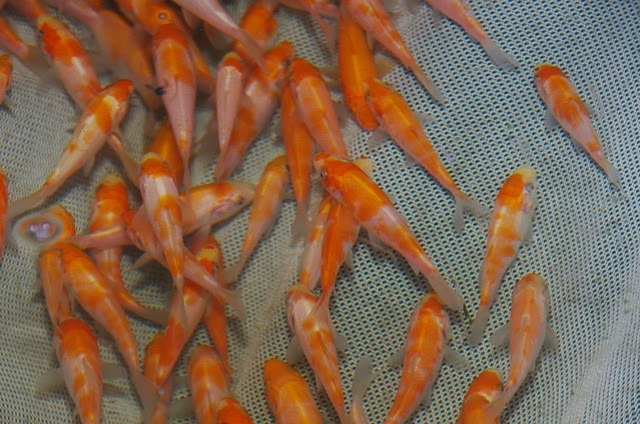 You'll see the odd benigoi in there, which is intentional - I dont have any from the early summer spawning, so kept a few that stood out this time around. 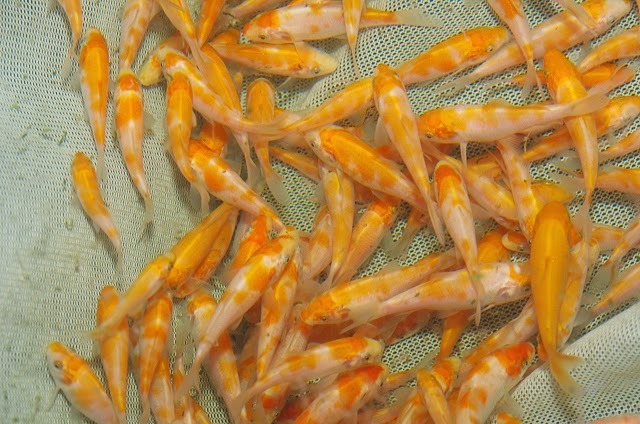 Size wise, they're around 2 inch / 5cm long on average.